A classic Hawaiian dish, Loco Moco consists of steamed rice topped with juicy hamburger steak, fried egg and smothered in a flavorful mushroom gravy. You must give this easy recipe a try! Loco Moco is one of signature dishes that is widely popular at many Hawaiian restaurants. 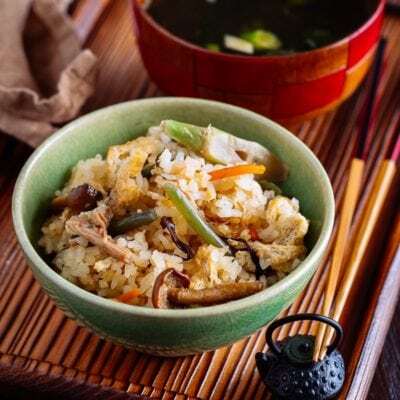 This Japanese influenced American dish is so yummy and is definitely one of the favorite comfort food on our family’s menu. Easy and super delicious Loco Moco recipe! 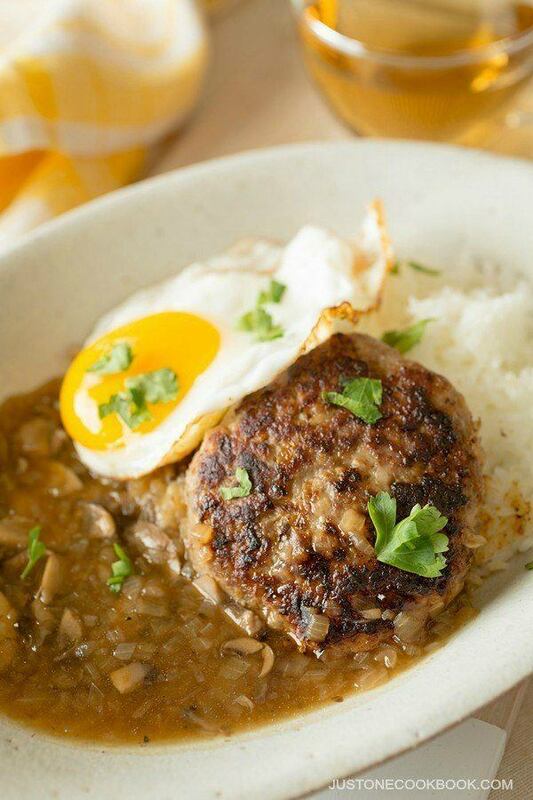 Who can resist juicy hamburger steak served with flavorful mushroom gravy and topped with a fried egg? 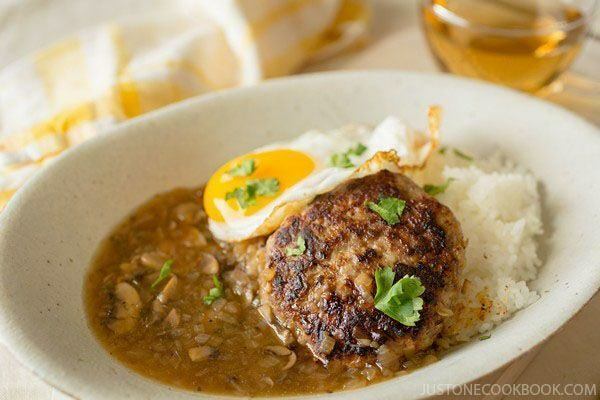 There are many variations of loco moco, but the traditional loco moco consists of white steamed rice, topped with a juicy hamburger steak, flavorful gravy, and a fried egg. Outside of Hawaii, loco moco (ロコモコ) is actually quite popular in Japan as well and usually served in cafe-style restaurants, yoshoku (Japanese-western) restaurants, or enjoyed at home. However, the typical Japanese version of loco moco is served with thick “hambagu sauce”, which is made of ketchup and Worcestershire sauce (or Tonkatsu sauce) instead of traditional gravy made of beef stock. 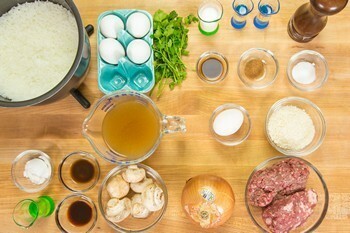 This recipe that I share today is my take on the traditional loco moco. I use my Hambagu (ハンバーグ) recipe for the meat patty which uses both ground beef and pork. The ground pork adds additional flavors and makes really juicy patties compared to using ground beef only. Some people don’t cook the onion first before mixing with the meat, but I like to caramelize my onions first which adds wonderful flavor to the meat mixture. Making gravy might seem extra work (especially if you’re used to Japanese-version loco moco), but since you will need to sauté onion for the meat mixture anyway, you might as well make this delicious mushroom gravy with some of sautéed onion. The caramelized onion works beautifully with both meat patties and gravy. Whether it’s for lunch or supper, this dish is very easy to make and will be ready in less than 45 minutes. It’s a wonderful comfort meal on any day of the week. Now, many of my readers are from Hawaii. What’s your favorite style of loco moco and how do you prepare it? Please feel free to share your recipe in the comment below so we all can try it out! Heat 1 Tbsp. olive oil in a large pan on medium high heat and sauté the onion until translucent. 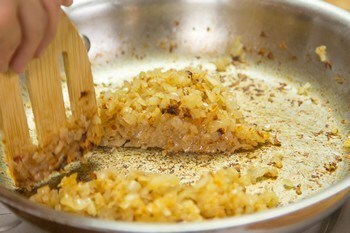 Turn off the heat and divide the sautéed onion in half (half for the gravy and half for the patty). Cut mushrooms into thinly slices. Heat ½ Tbsp. olive oil in a small saucepan on medium heat and sauté mushrooms till soft. Add the half of sautéed onion and stir together. Add 1 ½ cup beef stock, 1 tsp. Worcestershire sauce, and 1 tsp. soy sauce. Skim any foam or scum on the surface. Season with salt and freshly ground black pepper. In a small bowl, combine 1 Tbsp. potato/corn starch and 1 Tbsp. water and whisk well to mix together. Pour the potato starch mixture into the gravy and thoroughly mix together. Simmer till the gravy is a bit thicker. Turn off the heat and set aside. In a large bowl, add the meat and the rest of sautéed onion. Add 1/3 cup panko, an egg, 2 Tbsp. milk, ½ tsp. nutmeg, 1 tsp. salt, and black pepper. Mix the meat well until the mixture gets sticky and pale, and then divide into 4. Make 4 large patties (or 6 medium patties if you like). Toss each portion of mixture from one hand to the other hand repeatedly about 5 times in order to release air inside the mixture. If you don’t release the air inside, the meat patties will crack. After tossing, make oval shape patties. The top should be slightly round and not flat. Keep the patties in the fridge for at least 30 minutes before cooking so that the meat combines together. In a large pan, heat ½ Tbsp. olive oil over medium heat and place the patties gently on the pan. Indent the center of each patty with 2 fingers because the center of patties will rise with heat. Cook the patties about 5 minutes. Do not flip until the bottom of the patties is nicely browned. Cover and cook for 5 minutes to thoroughly cook the inside of the patties (adjust cooking time depending on patty’s thickness). You can also re-heat the gravy and make fried eggs at this time. Serve steamed rice on individual plates. Transfer the patties to the plates, pour the gravy, and top with a fried egg. Serve immediately. I haven’t made Loco Moco in ages. The spam one, which I think of as the Hawaiian version, was a bit too salty for my taste. i had never heard of this dish.. i love the addition of eggs. 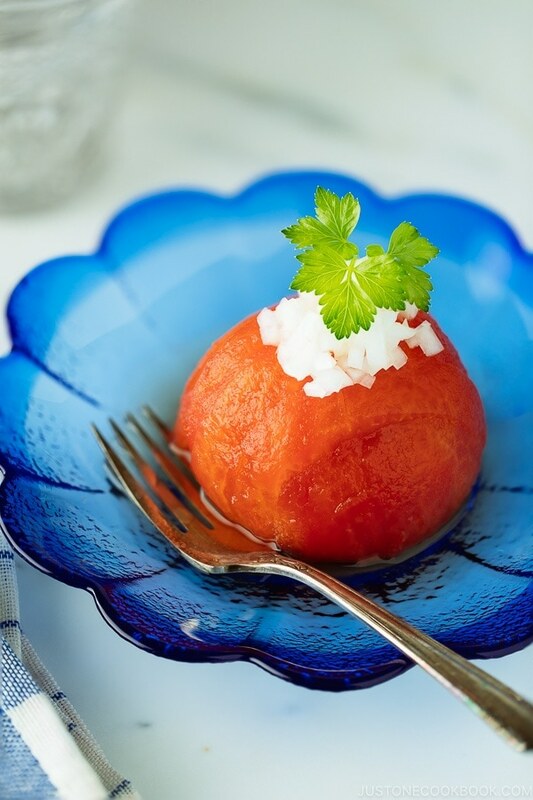 In Bulgaria this dish is called КЮФТЕ. Used minced ground meat, raw onions, yogurt, eggs, spices like pepper and savory, breaded in flour before frying. Meatballs can be prepared and baked on a grill or in the oven. For garnish serves salads, sauces, fried or cooked vegetables. Many favorite dish in Southeast Europe. I just printed out the recipe and will be trying it soon! Doesn’t an egg look so good on any dish? And taste so good? I’ll bet it’s terrific on this dish — love all the ingredients in this. Fun for dinner. Or breakfast! 😉 Really good stuff — thanks. 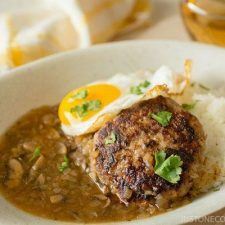 There are so many variations of Loco Moco, but the hamburger one is the original and the best, and your homemade mushroom gravy brings it over the top! Hi Henry! My pleasure! 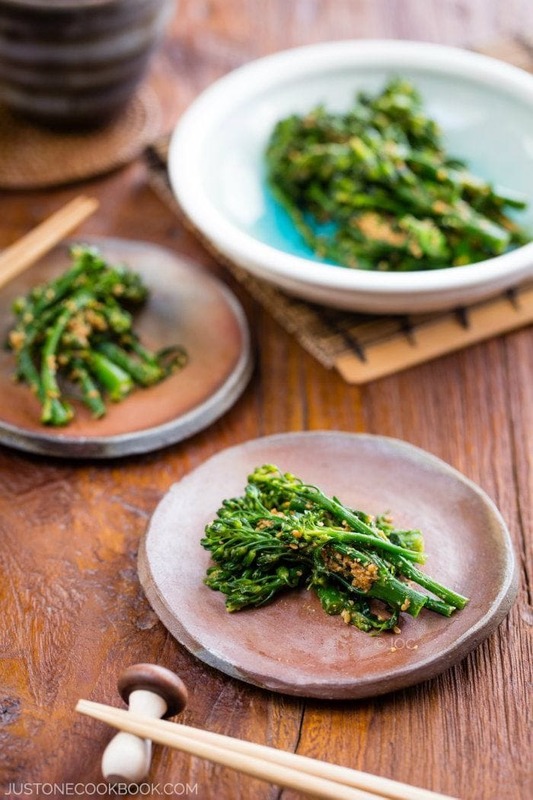 We’ve been eating my version for a long time and thought it’s a wonderful food for everyone to try! 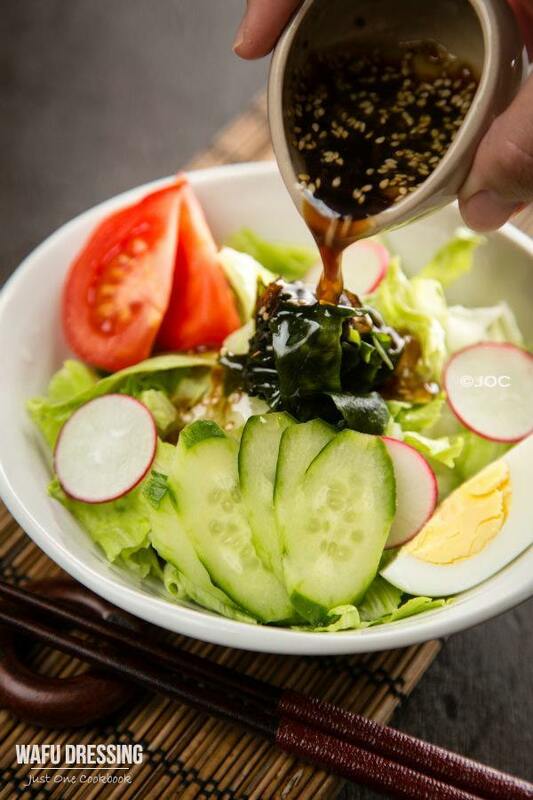 We usually pour the sauce over the hambagu even more… but for the photoshoot, it didn’t look pretty. =P I had to adjust so it looks pretty in the photo. I love eating the enter meal with this mushroom gravy! YUM! Thank you so much for your comment, Henry! Hi Teri! どうもありがとう！ You live in Hilo! I’m flattered with your sweet words. Thanks so much for your very kind compliments! Wow this look so tasty, i must make it for my son. 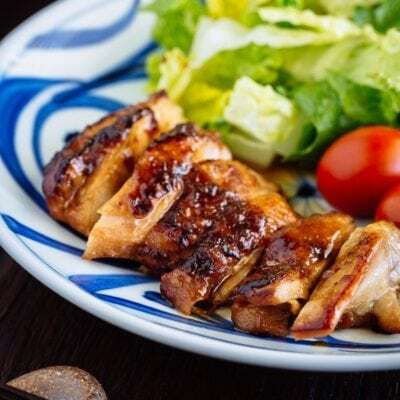 I never knew the name of this dish but have seen it many times at Japanese cafes (we need more of those, btw!). : ) Your dish looks absolutely perfect. Everything you make makes my mouth water! I reckon that gravy looks like it would really make the dish. I don’t know why anyone would not want to make it? Looks so yummy. It was never on my menu! It is definitely a loss! I love your Hambagu recipe and have cooked it over and over again because my family loves it. 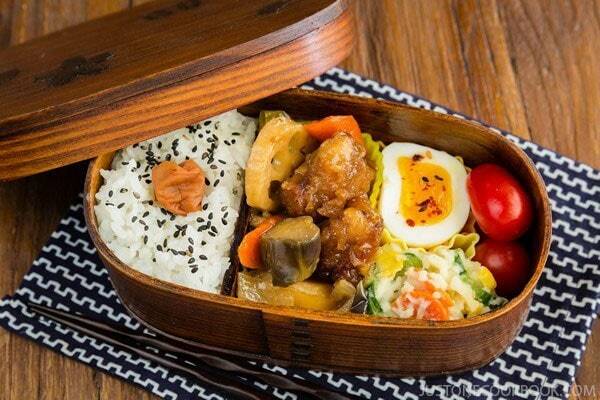 I’m positive putting an egg on it on top of rice will be a hit, too. Thanks for sharing and hope your summer is off to a good start, Nami. I’ve seen this but never knew the name. Love me some gravy, rice and the patty. Well explained and looks easy too. Bookmarking it make later. Have a good time Nami. 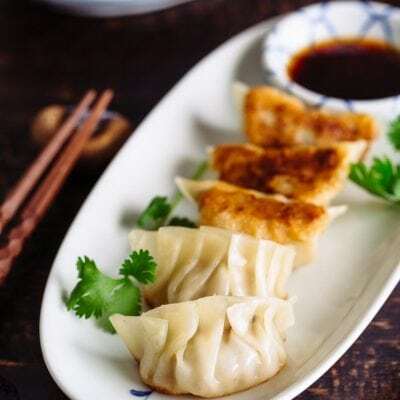 Thanks so very much for this website and all of the recipes you post here… so many tastes of my childhood (I am 三世 and was born and raised in Vancouver, Canada)! 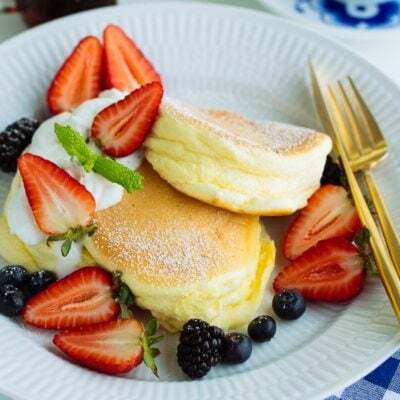 こないだ ありがとうございました… I really love your Royal Milk tea recipe (am drinking some as I write this) and am looking forward to trying your Loco Moco recipe soon and also your sukiyaki recipe as well! Thank you again for a wonderful website! 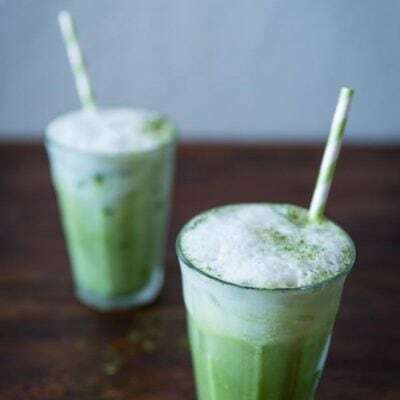 Glad to hear you enjoy my Royal Milk Tea recipe! 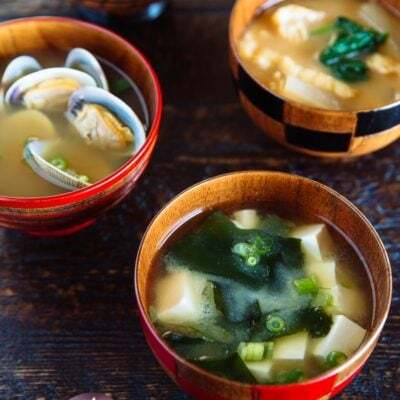 We love Sukiyaki and Loco Moco recipes… hope you like them as much as we do. For the meat patties, I always freeze the leftover or extra AFTER cooking them. I defrost the patty overnight in the fridge and reheat again in a frying pan. I read somewhere that it’s best to freeze after cooking instead of freezing raw meat (as often the meat was previously frozen and it’ll be second time to freeze). Hope that helps! I have never even heard of loco moco and I feel I’ve been missing on an extraordinary home dish! We will both certainly love it. I cannot wait to try this dish! Adding pork is a wonderful idea so that the beef doesn’t get too dry, I’ll have to make this soon. 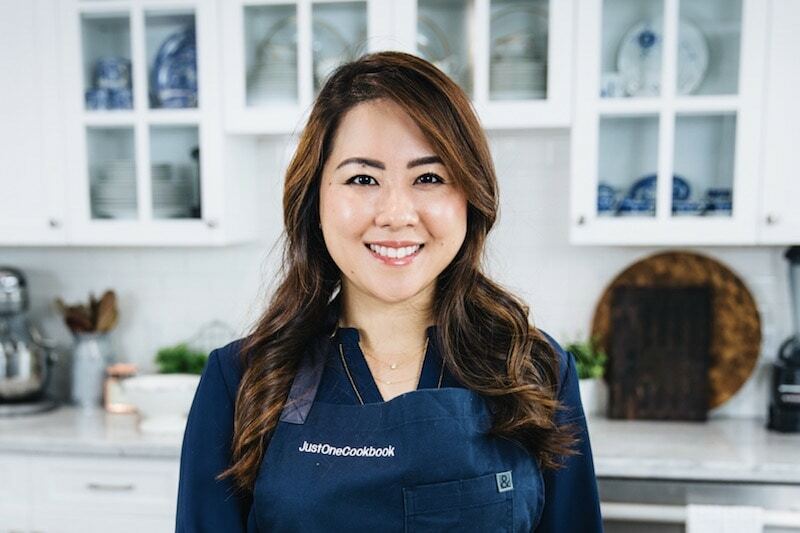 i had ground kobe beef in my freezer and i’m gonna use it for this recipe…. That looks delicious! 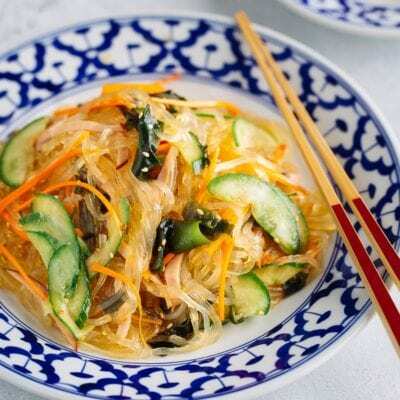 Its so interesting to see cross cultural recipes like these! I would like to thank you for all the hard work and dedication you put into this blog. It is so well done in every way and the food is very authentic. It’s also great that you keep it so up to date. I have been to Japan over 70 times to date and have eaten at many great restaurants from fine dining to street vendors. I have been fortunate to taste such a great array of food from Okinawa to Hokkaido. It’s a pleasure to read your blog and find almost any good recipe so easily and presented so well. It’s also so good that you include a video! 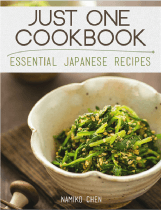 I have a large library of cook books and enjoy cooking very much but I love the ease in which I can source almost any Japanese recipe here on your site and as I mentioned before your presentation is so well done. It’s a pleasure to browse and fantasize about cooking all of your recipes some day. They inspire me to start cooking much more often. Please continue the wonderful work you put into your great blog. How wonderful that you visited Japan so many times! I come home every year (I’m currently in Japan), and hope to share my experience with my readers with my travel post. I have many recipes that I would like to share with everyone, especially those that most people are not familiar with. It’s been a fun journey for me too, especially when I receive feedback from readers about the recipes they’ve tried from my blog. Is it possible to make the patty from ground pork only? Being from Hawaii, I learned how to make this during my high school years working at a local snack shop in a grocery store. This is a popular breakfast item too. Homemade hamburger patties with brown gravy made from pork broth is how I recall the best flavor. Commercially made burgers do not cut it when ordering this dish in a restaurant. I’ve learned through the years. I will try your version. Thank you for sharing. We stayed in the town of Mt. Shasta, CA and went to Lilys Restaurant 4 times. The chef lived & worked in Hawaii for many years & he has a great pacific rim menu. Your posts of Loco Moco and Poke Bowl piqued my interest. Before that, I never knew such dishes exist as I’ve never been to Hawaii. We tried their Loco Moco, Kalua Pig Loco Moco and Poke Bowl. I was in love! 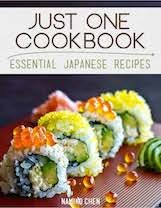 I have your recipes and can’t wait to get home to make them ???? 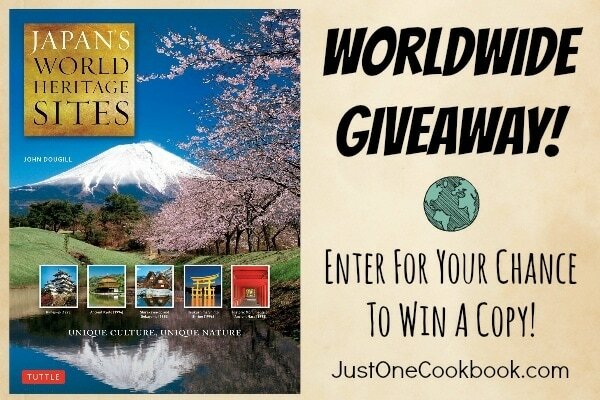 I want to say a big thank you for showing us unique cuisines around the world. Love your work Nami! Keep it up! Hi LayChin! Aww thank you!!!! I hope you enjoy the recipes. If I go to Mt. Shasta (I’d love to go! ), I’ll definitely stop by the restaurant. 🙂 Thank you for sharing! mmmmmm looks so yummy can I use another sauce instead of Worcestershire sauce? I’m planning to make this receipe today ???? In Hawaii we have a chain restaurant called Zippys , similar to Jonathans or Dennys in Japan which has a very good chili . With that chili they pour it over rice and put a fried egg on the top and call it a chili -moco very good take on the loco-moco . Love all of your recipes and layout, this was delicious. The only edit you might make in the directions is to add the soy sauce. ???? Hi Leticia! Oh my! Thanks for letting me know. I added when to add soy sauce. Thanks for bringing it to my attention! When I lived on Oahu the version of this dish that I commonly ate used a breaded pork or chicken cutlet over rice instead of beef, a sunny-side or over medium egg smothered with thick brown gravy, and two fried spam slices on the side. I didn’t even know they came beef-paddy style until I saw this page. 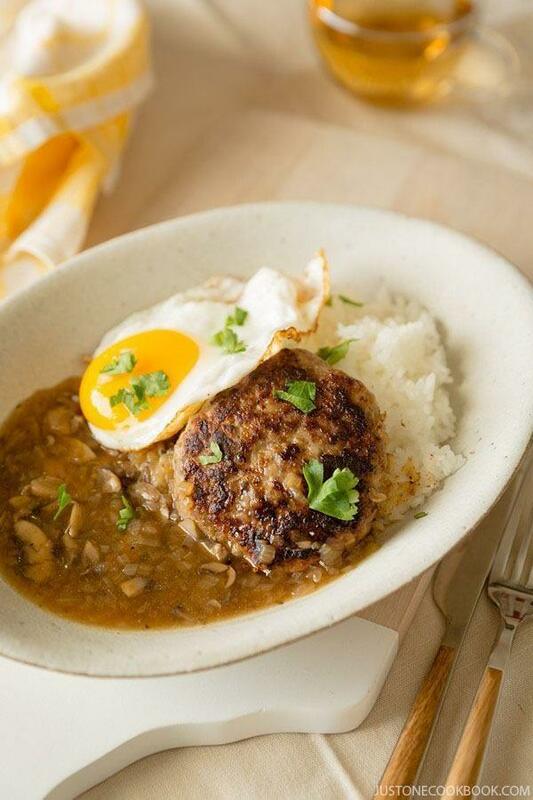 Your recipe for Loco Moco is absolutely DELICIOUS! So easy to make and ingredients I always have on hand will have this one appearing on our menu again soon! I wondered about the nutmeg and the Worcestershire sauce as I thought they might be really strong flavours but they didn’t take over at all. 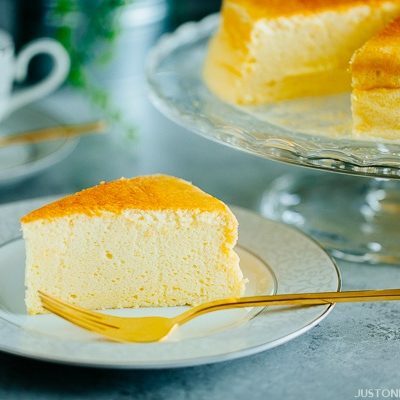 Thanks for sharing this recipe and all of the rest, Namiko! You’re keeping our meals interesting and expanding our menu choices! Hi Gayle! I’m so happy to hear that you enjoyed this recipe. 🙂 Yeah nutmeg is important in making hambagu in Japan…so I added. 😀 Thank you for your encouragement! Hi Nami! Thanks so much for this delicious recipe. I’ve made it once before and it is sooo good. 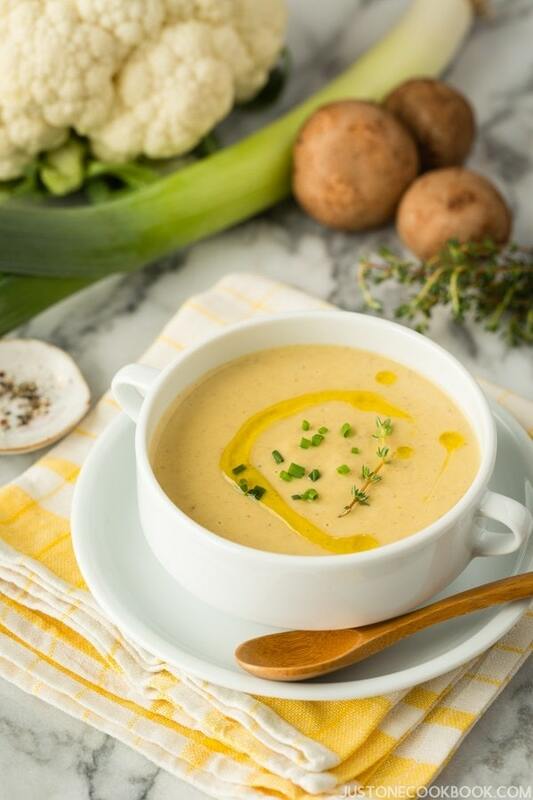 I want to make this again and am wondering: I don’t currently have beef broth in the pantry, can I substitute it with chicken broth instead, or will it ruin the taste? Thanks so much! Hi Viola! Thank you so much for trying this recipe! Chicken broth will be okay – the taste will be slightly different but I think it’ll work okay. Thank you so much, Nami! I made it with chicken broth, and it is still super delicious, but you’re right, the taste is different and I think it’s more flavorful/works slightly better with beef broth (and why your recipe calls for it!). Anyway, this is one of my favorite recipes and every one of your recipes I’ve made has turned out perfectly — your flavoring and portions are just on point! Hi, can I put the patties in an oven? Do you know at what temp and duration? Hi Thuy! I haven’t done it before…so I am not 100% sure what’s the best way to get the outcome. You probably should cover with foil to make sure inside is juicy and not dry. Maybe start with 350F and end with higher temp to make nice crust/brown on top? If you sear both sides of patties first before throwing into the oven, then I think you can do 400F. Born and raised in Hawaii. Eat this a lot you can supercharge it when at home to make it bomb.com Try hapa rice. Half white half brown. Use elk, lamb, venison or other gamey meat for a burger instead of beef For vegetables, I use onions and mushrooms cooked with meat to make gravy. But I also add microwaved steamed slices of tomato and spinach during dish composition at the end. For egg its best to have 3 per burger and it must be soft in the yolk. Microwaved poached eggs work epic too. Meatballs work just as good as a burger for meat shape and are easyer to portion. Hi Cole! Thank you so much for sharing your tip – it certainly sounds delicious!!! !